One of things I love about home schooling my children is the experience of being “hands-on” with their education, of being directly involved. It’s also one of things I like least about it. There is one of me and currently there are 3 of them. The younger the student, the more mom is needed. With the crazy summer we had full of health issues, graduations, weddings, and life, I found myself appreciating the opportunity to review Time4Learning with Supergirl. Time4Learning can be a great tool for moms like me who really want to be involved in the education of her children but need to step back and let someone else do the teaching. Time4Learning is an interactive online program that begins as early as Pre-K.
Time4Learning is a web-based curriculum. This technology based program requires no software, no CD and can be accessed from any computer at any time with an internet connection. As a teaching tool, Time4Learning can be used for students in PreK through 8th grade. With a Time4Learning subscription ($19.95 per month for first student, $14.95 for each additional student) each student will have access to a grade below and a grade above the default grade. For more detailed information please visit Time4Learning’s FAQ Page. For Supergirl, we choose 2nd grade which gives us access to all four 2nd grade subjects: Math, Language Arts, and Science, as well as access to 1st grade Math, Language Arts, and science and all four subjects for 3rd grade. The 1st grade grade program does not have a social studies option. After choosing and opening a subject, you can change the level by clicking the correct number. The default level is the level you set. We started using Time4Learning while still on summer break so we used the program 3 to 4 days a week. Each day we worked a lesson (or two or three) from Math and Language Arts but alternated between Science and Social Studies. We only worked through one Social Studies or Science lesson per session as I wanted to focus on Language Arts and Math. Some days I would sit with her and direct her to the lessons I wanted her to complete and some days I allowed her to be more independent. I prefer to sit with her, letting her work independently, but I choose which lessons. This allows her the freedom to “do it [herself]” while allowing me to direct her to the topics/skills that I know she needs to learn. I love the reports section where I can see which lessons Supergirl has completed and if those are graded activities, I can see her score. I can even click a link and watch the lesson myself! The order of lessons is not fixed ~ I think this is my most favorite aspect. I love that it is sequential but it is not rigid. I can skip things that I know she knows and I can go back to previous lessons to cover things she hasn’t quite grasped. For example, she worked through the 2nd grade place value activity and I decided that she would benefit from a refresher from the 1st grade lessons. I love this freedom to pick and choose based on my knowledge of my child. Resources you can print out to reinforce the material. I like it. It’s fun. I like how I can work it to do my math or my language arts. I keep playing the games. I like how it’s working for me. My mom wants me to do school and this helps me do school. My favorite subjects are math and language arts, not the science because I don’t like the ant lesson. I like how it teaches me to find the words and I like how the robot teaches me to do math. For my family, this program makes a great “someone-else-to-teach-because-life-got-crazy-and-she-keeps-slipping-the-cracks” program. When it comes to math and language arts, with Time4Learning I know that Supergirl is getting some “learning” done even if I can’t be the one teaching. Life got crazy busy with health issues and getting my oldest ready for college. Now we’re back to school and figuring out a routine and I am so grateful for our subscription because I know we’ll be covering the basics. I am pleased with the progress that Supergirl is making with reading. We’ve been working through the high frequency words and decodable stories from the 1st grade lessons and I was tickled to hear her little voice read sentences such as “The blue team can run in the heat.” It is so difficult to find an online program that works for Supergirl because her skill levels are all over the map. Time4Learning works well for her. The Schoolhouse Review Crew reviewed the Time4Learning subscriptions for PreK – 8th Grade. I recently noticed that Time4Learning has added a new program for High School students! Visit Time4learning to read more about the high school program. Interested in learning more about how the lessons work? Visit this page to sign up for FFREE Demo Lessons. 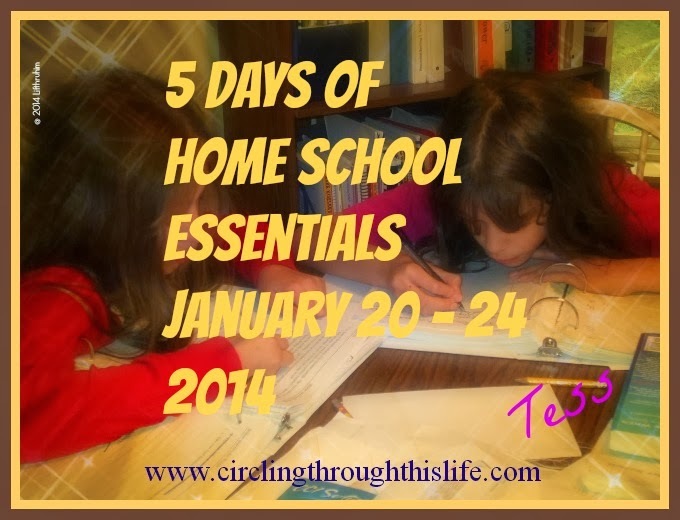 Visit the Schoolhouse Review Crew blog to read what others have to say about Time4Learning. All information is correct and accurate as of the date of this review. What a great review from your daughter! I definitely understand being outnumbered (three kids here, as well) and having the need for kids to be able to work individually. When life gets chaotic, it's great to know learning is still taking place!